We'd like to address a few of the concerns brought up since last week's announcement, as we prepare for tomorrow's $2500 Seasonal Cup - where we will reveal new cards! Last week’s Faeria Friday contained the news of the most significant changes we have announced in recent months, and we are aware that while we revealed a lot in a single post, there’s also a lot that didn't make the cut. We’d like to go into the context of these changes a little more, expanding on why we have made these decisions and what they mean for the future of Faeria. We are also keeping a close eye on all of your feedback and questions across all channels - Discord, email, Steam, Facebook, Reddit - and will be addressing the first handful in this post. We’re always keen to hear what our players think, and in the near future we will be sending out a specific survey to encourage the less vocal of you in the community to tell us what you think. Before we go further, let's talk about new stuff. 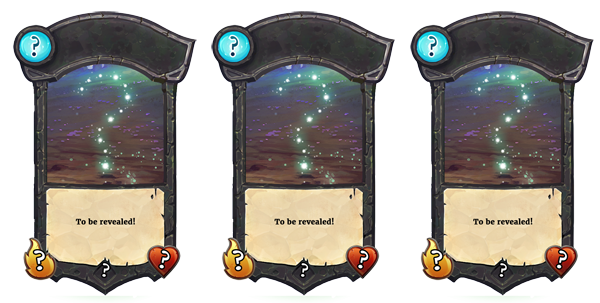 It would be spoiling the gift of anticipation to tell you everything about what we plan to add to the game, but to whet your appetite we plan to reveal three brand new cards coming to Faeria during tomorrow’s $2500 Aurora Seasonal Cup stream on FaeriaTV. We’ll also be distributing precious Eggs on stream and hatching them over the weekend. 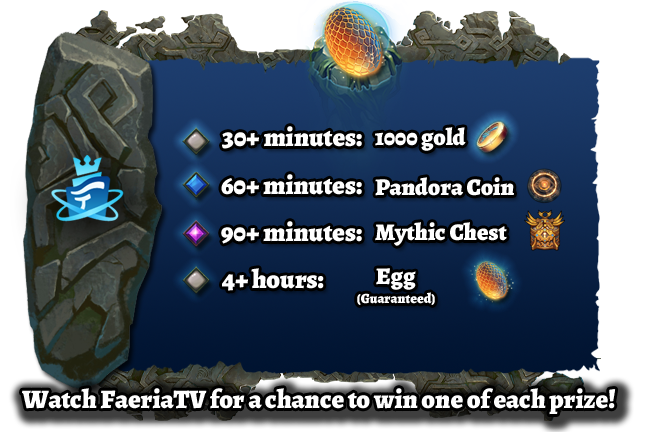 Watch FaeriaTV starting at 16:00 CEST, Saturday April 7th. Hosted by Aquablad, skorch, Atmaz, Zorni, zaldinfox, Cappuccino, and Luuu. We’ll be unveiling the cards as we approach the semi-finals. If you’ve been following our blog posts over the past months you’ll be aware of a lot of new art we have shared. You may have noticed that the world of Faeria is becoming warped and twisted by a malevolent force yet to be revealed. Tomorrow, it will be the first time we will be sharing actual cards since the completed release of the Oversky. How does Abrakam working on a second game affect Faeria? Last week, we revealed that Faeria is no longer the only game we’re working on. We’re confident that once we can talk more about this new game, nobody will have any reason to disagree that it is a good thing not only Abrakam but also for Faeria. One major concern we’ve been hearing over the last week is the worry that Faeria will become an afterthought for us, while we focus only on the new game, or the concern that our goal is to take any more earned from Faeria to spend on the new game. The first and most direct point to make is that we can reassure you that no money we receive from Faeria will be spent on the new game at all. The new game has a completely new source of funding, meaning it is not reliant on anything else we do at Abrakam - money can only flow in the opposite direction, meaning that if the game makes lots of profit in the future, we can spend that extra money on Faeria if we choose to. Over the past months, our development focus has been stronger on the new game than for Faeria, however the reasoning behind this was primarily that we were still working out how best we could adapt Faeria to give it the best chance possible at a long and healthy future. We simply weren’t ready to pour all of our resources into further content or development after the final Oversky island of released, and we timed building the foundations of our new game because we knew this would be the case. We are now at a stage where we do know what we need to do for Faeria, and we can dedicate the resources needed to do what we have planned! In addition, we are still actively hiring, with a number of new faces lined up to join the team in the next three months, as well as several vacancies still listed that we are hoping to fill as soon as we can. This growth will allow us to do even more across the company, faster than ever. How will going Buy-to-Play affect the size of the community? We get a lot of questions about our marketing strategy and how we plan to increase the size of Faeria's community. When it comes to marketing games, “how much can we afford to spend” is only the second most important question to ask. The most important is “what return-on-investment (ROI) will we get with marketing?" If you can spend one dollar on advertising and earn back a little more than a dollar, you’ve got a winning formula that makes marketing worth doing. If you earn back less than a dollar for each one spent, well… you can probably see where that goes. Whether you start with a marketing budget of $100 or $100 million, the question of whether the ROI will be positive or negative remains the same, and remains as important. One of the factors we took into account when deciding to transition from F2P to B2P is that we have spent a lot of time modelling different scenarios, and this change gives us a lot of confidence that we can achieve marketing campaigns with better ROI, allowing us to continually spend more on growing the community. It also helps that B2P will see the money Faeria makes become less unpredictable and volatile - in a F2P system some players are more likely to spend earlier or later in their time with the game, while having a price tag at the start allows us to directly balance it against the average cost to make a new player aware of the game. Because of these reasons, we have already set aside a budget to be spent after the change comes into effect, which is significantly more than we have been spending in the past. Essentially, we obviously can’t guarantee how many Faeria players we expect to have at any time in the future, but we are extremely optimistic that this change will help us find new people to discover and fall in love with Faeria; not the other way around. How will monthly DLC work? We’re not ready to talk about exact details, schedules or pricing just yet. One common concern we heard was how we would keep the game balanced if we release new cards every month, which made us realise we weren’t clear enough last week - while there will be new content every single month, it won’t always be new cards. Some months might be new solo or co-op content, and we’ll reveal more about our plans as we get closer to our first monthly release. Our goal is to achieve two things: firstly, we want you to feel like there is something new, exciting and awesome coming into the game on a more regular basis. But secondly, you shouldn’t feel like you need to buy every single DLC just to keep enjoying the game - maybe you’ll want to, but we don’t want it to matter if you don’t. Yes, new cards will need to be acquired through DLC packs, but we are quite certain that together we will make sure that there are amazing decks in the top tiers that don’t require the latest DLC packs to build. Our collection has got pretty big with the addition of Oversky cards, and the bigger it gets the more diverse we think decks will be. We expect our community to be very helpful in identifying any problems in this regard. On the subject of buying things, while we did cover this last week, after hearing lots of questions on the subject we would like to reiterate that we are not looking to charge anything to any of you current players reading this. We will have a system in place to activate your license to own Faeria based on your current F2P account. In January of this year we began the first ever season of the Faeria World Circuit. The top 32 point earners are now ready to square off against one another in games featuring the highest level of play in Faeria. If there’s any tournament stream you should watch in the near future, let it be this one. 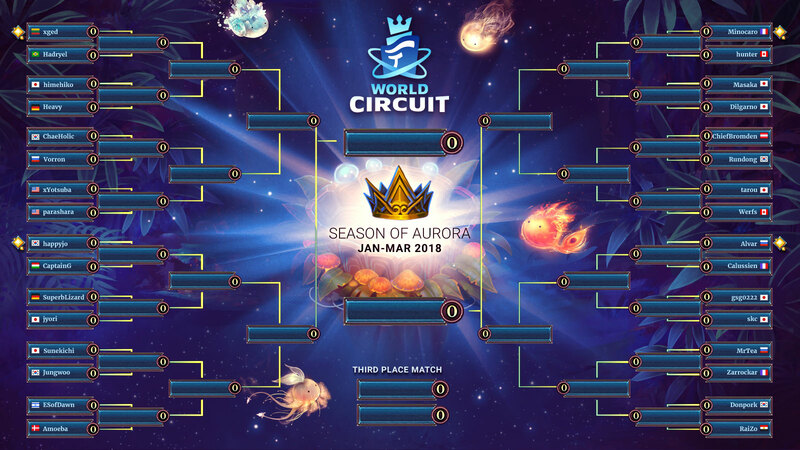 The best players from all over the world will be competing to win the title of the first ever Faeria World Circuit Seasonal Cup champion. Make sure to follow the Twitch channel to be notified when we go live. What are Eggs? Eggs are special avatars that can hatch into even more special Yak avatars during the weekend of the Seasonal Cup. 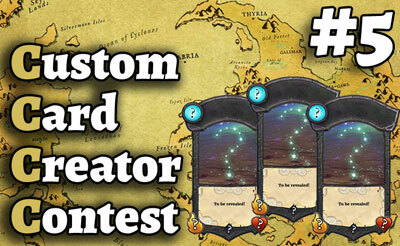 The next community card creation contest begins today. This time you'll be asked to focus on a specific area within the world of Faeria and theme your card appropriately. The Season of Ruunin is upon us, and registration for the April FWC Championship League $400 tournaments are now open. The second Hex Templar community tournament completed Saturday, March 31st. Read here for the recap. Tournament streams will have viewing prizes enabled - keep an eye out here. The Resurgence is upon us, and a metamorphosis is underway. A brand new card reveal, and season info! The Llamacorns are coming, and with them: The Blossoms of War.